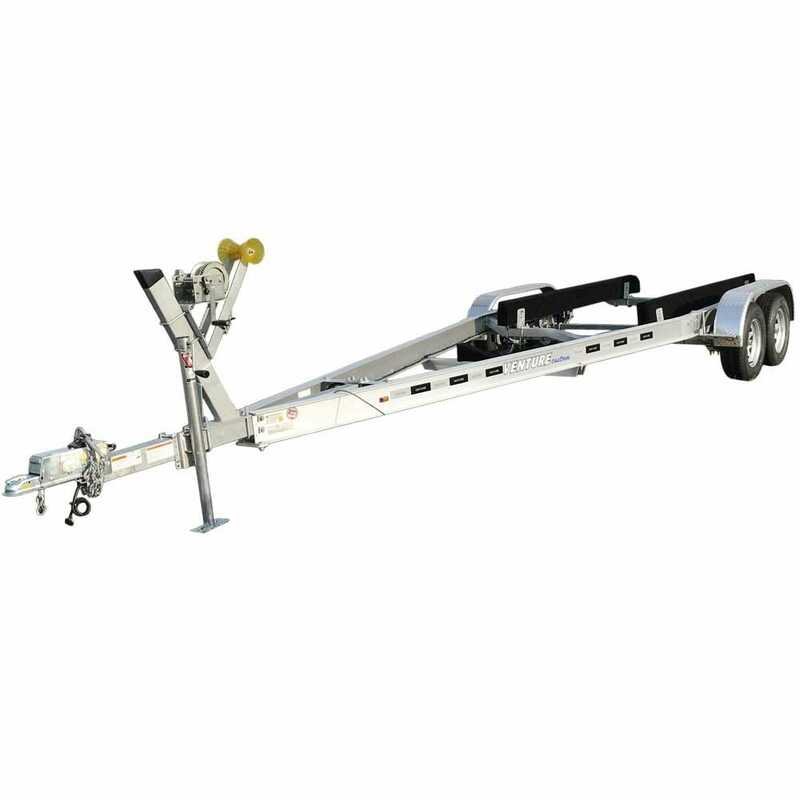 Welcome to your source for complete new boat trailers for sale at used boat trailer prices. You're sure to find your new boat trailer from top manufacturers such as EZ-Loader Trailers and Shorelandr Trailers. Need a simple used boat trailer? We have hundreds of new and used boat trailers in stock from scores of boat parts suppliers. Our boat trailers are complete and ready for the water. Simply hook up and you are on your way. No boat parts necessary! These trailers come complete, many with spare tires, boat winches and boat trailer jacks all built into the trailers. Why keep launching your boat from a rickety, rusty used boat trailer? You spend lots of time tending to your boat. Launch her from a new boat trailer you'll be proud to show off! We also have all the trailer accessories you will ever need. So please check back often to find our most current inventory of boat trailers.